Bezel set with 160 diamonds weighing a total of +/- 0.77 carats. 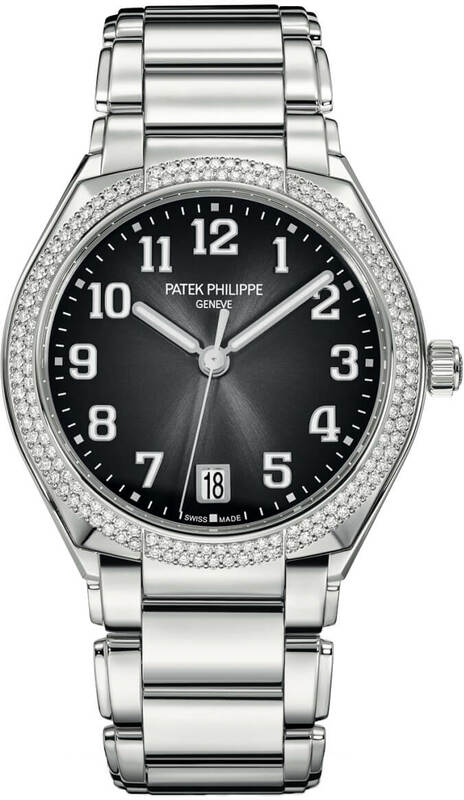 Grey dial with a fine sunburst finish. 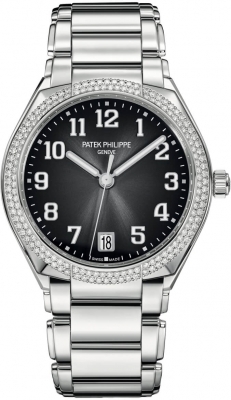 White gold applied Arabic numeral hour markers with luminous fill. White gold hands, hour & minute hands with luminous fill. 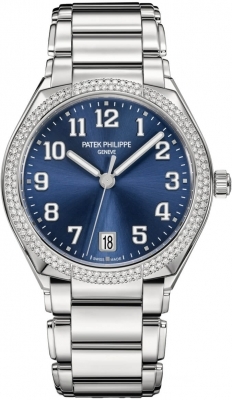 Patek Philippe caliber 324 SC, beats at 28,800 vph, contains 29 jewels & has a power reserve of 35-45 hours.